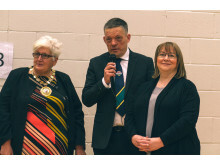 10 year old Lois Marsh of Colchester has been sent a letter of achievement by her MP for her performance as a Brazilian Jiu Jitsu (BJJ) athlete. 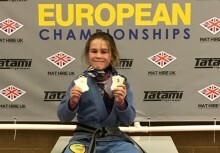 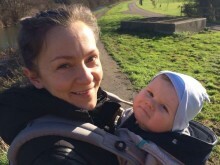 Colchester MP Will Quince wrote to the youngster after reading about her success at the BJJ Junior European Championship, in which Lois won a gold and a silver medal. 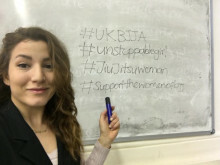 On 29 May as part of the UKBJJA's Unstoppable Girl campaign to help promote women's Brazilian Jiu Jitsu, black belt Helen Currie deliver a seminar for free at Team Fulinkazan in Bradford. 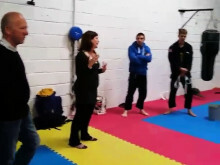 Helen Currie was the first female to get her black belt in the UK and alongside husband Darren, runs Combat Base Gym, Pontefract. 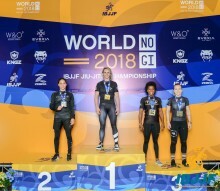 This event is designed for women and girls who might never have tried BJJ. 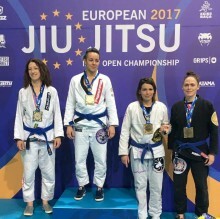 Purple belt and CEO of the UKBJJA Kat Hill will be delivering a free women's BJJ seminar at the Valley Leisure Centre in Belfast. 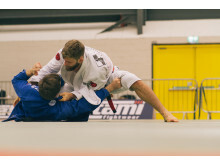 Working in communities with social and religious divides, the primary aim of the seminar is to bring in women and girls in Belfast to try BJJ as a positive new experience, as well as bring together women who might already be practising BJJ in Belfast and beyond. 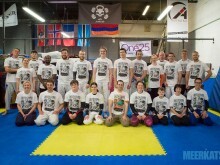 On 26 and 27 March Artemis BJJ in Bristol will be hosting a 24 hour Charity BJJ GrappleThon in support of One25 which works to help vulnerable women, and run in partnership with the UKBJJA's Unstoppable Girl campaign to get more women into BJJ. 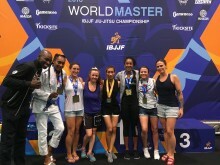 Any women who are interested in trying out BJJ, are welcome to come in. 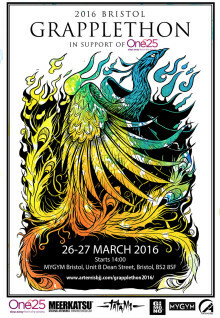 There will be loads of women from various clubs around the country in attendance. 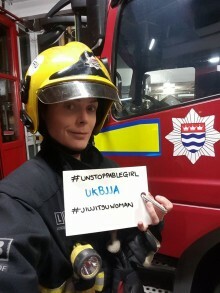 On Sunday 1 May female Firefighters, and members of the Met Police and London Ambulance Service will have the chance to try out Brazilian Jiu Jitsu at the 150th Anniversary Open Day at Croydon Fire Station. 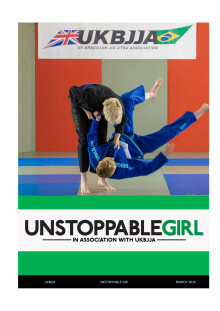 The event is part of the Unstoppable Girl campaign aimed at getting more women into BJJ, hosted by 3 Unstoppable Girl Ambassadors and Firefighters, Nakita Ross, Tracy Doyle and Leoni Munslow.